Occupying nearly 100 acres of rich and diverse wildlife habitat, Stow Maries Great War Aerodrome is the only known WW1 aerodrome to survive largely intact. Others have been developed into modern airports or airfields, housing estates or returned to agricultural use. 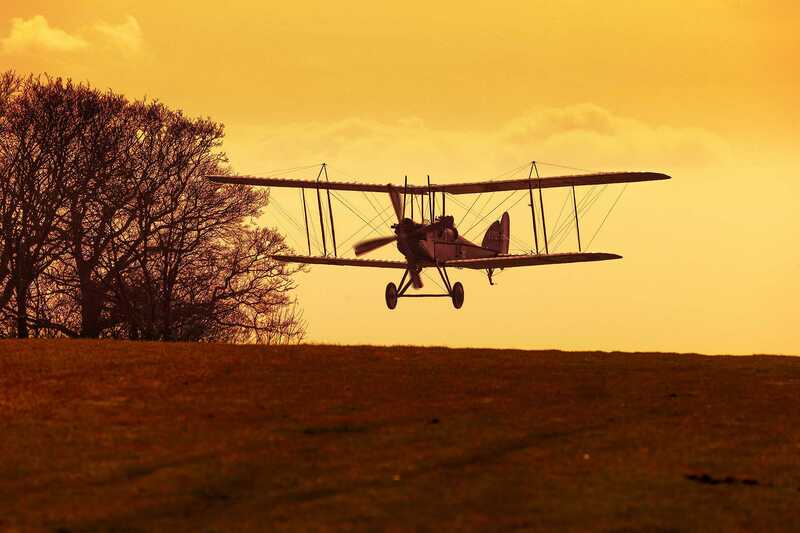 We offer a unique and hugely enjoyable educational visit and, (weather-dependent), students may see modern or period aircraft take off and land from a close but safe vantage point. For a variety of your Educational needs - formal, informal or interactive and immersive - we can host and assist in a wide range of curriculum-linked activities, covering a number of topics. For Adult Education, Life-Long Learning and Well-being programmes, we are always happy to welcome groups to engage with us. A great example of this would be the Rural Skills Project, managed by Abberton Rural Training. Alternatively, if you are looking to bring a U3A or special interest group, please contact info@stowmaries.org.uk to make a booking. Our facilities include dedicated formal and informal education spaces with interactive whiteboard, interactive exhibitions, the Airmen’s Mess Café, a diverse shop, picnic areas and large outdoor spaces. Our Catering team can be used to provide Lunchbox meals on appointment, and our Curatorial and Explainer Teams are ready to assist. Our practical workshops are regularly used by groups of Year 5 through to Year 11 for hands-on sessions of aeronautic based activities including rocketry, model aircraft construction, electronics experimentation. We also host the UK Rocketry schools challenge and STEAM (Science, Technology, Engineering, Arts and Maths) courses on site.